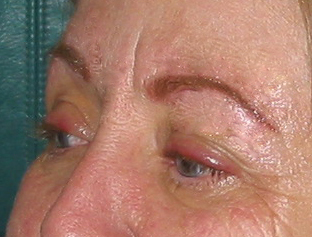 Permanent cosmetics makeup is an application of micro pigments just below the surface of your skin. Permanent cosmetics makeup is also called micropigmentation, micropigment implantation, intradermal pigmentation, cosmetic tattooing or dermagraphics. During your consultation at Del Mar Skin Care San Diego, your permanent cosmetics makeup artist will help you choose the most attractive color and shape for your unique features. She will answer all your questions and make sure you feel comfortable with your choices. Before the permanent cosmetics makeup is applied, your artist will apply a topical anesthetic to maximize your comfort during the application. Your permanent cosmetics makeup artist will meticulously apply the pigments. The length of the process can be estimated during your consultation. Each application is unique and custom designed for your individual features. After the permanent cosmetics makeup is applied, your artist will gently clean the area of application and apply a protective ointment. She will review your after care instructions. If you have any questions, please call Del Mar Skin Care San Diego at (858) 457-2100. Del Mar Skin Care San Diego offers permanent cosmetics makeup by appointment only. Please call (858) 457-2100 to schedule your consultation with our expert permanent cosmetics makeup artist. Our permanent cosmetics makeup artist will answer all your questions and help you decide if permanent cosmetics makeup is right for you. Yes! Permanent cosmetic makeup is safe. At Del Mar Skin Care San Diego, we adhere to the strictest standards of sterilization and cleanliness in accordance with the CDC (Centers for Disease Control). New, single use sterile needles are used for each application. All our instruments are sterilized prior to each application and we use a state of the art autoclave to sterilize all implements. We use disposable pigment cups to ensure sanitary applications each and every time. Yes! 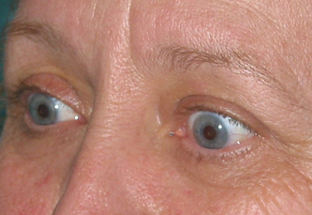 Permanent cosmetics makeup is a permanent procedure. It is waterproof, smudgeproof, permanently perfect cosmetics. You can look your best even while swimming, exercising, or in hot humid weather. All you need is sunscreen and you are ready to go. At Del Mar Skin Care San Diego, your beauty is our goal. You will receive an honest and informative consultation. We will answer all your questions and help you decide if permanent cosmetics makeup is right for you. We will help you choose the most complimentary shape and color for your individual features and skin tone. We recommend a natural looking application to enhance your features or cover imperfections.